Oh, Dear Helen! I could hardly believe what I just read this morning! Ego. So insistent and cheeky and invasive. But you are so right: it is the greatest of cowards!! Thank you so much for that!! I just celebrated my 70th birthday by having a dinner party for a few friends and myself and EGO was driving me nuts: “This is too self-centered. You should be ashamed. People will be mad at you for only inviting a few and not others.” and on and on and on. I had an absolutely wonderful time and then when people left I was absolutely depressed by the thought of having been so selfish. Fortunately a very good friend, Michael, said to me yesterday how artfully done the party was and how glad he was that I could enjoy this wonderful milestone by doing something so appropriate for myself. “What! ?”, says ego. “Yes!”, says I — but I did not know until reading your blog here who I was fending off. 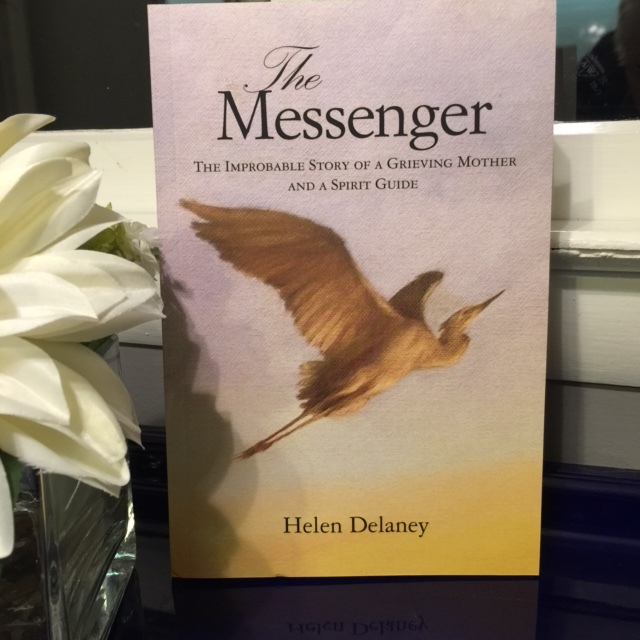 You are the most wonderful, amazing and courageous woman, Helen Delaney!! I am almost at the end of The Messenger and feel so blessed to know you and cherish you and learn from you. Thank you for telling your story/Lukhamen’s story. You are a truly gifted writer which makes it all the more pleasurable and comfortable to read what you are telling us. Thank you! As always apowerful, thought provoking message!